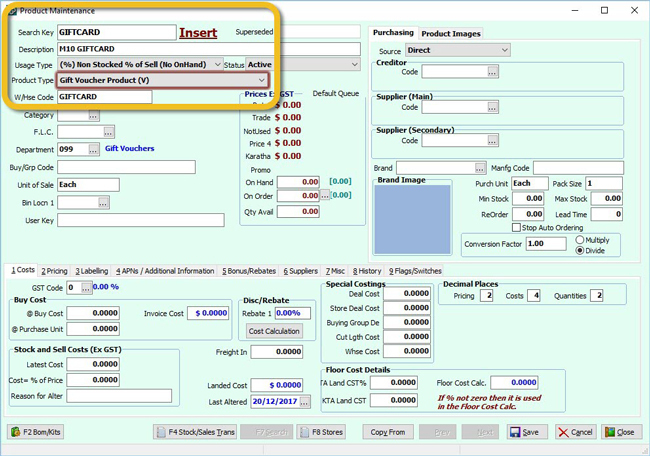 Start with setting up the Integrated Gift Card Product. 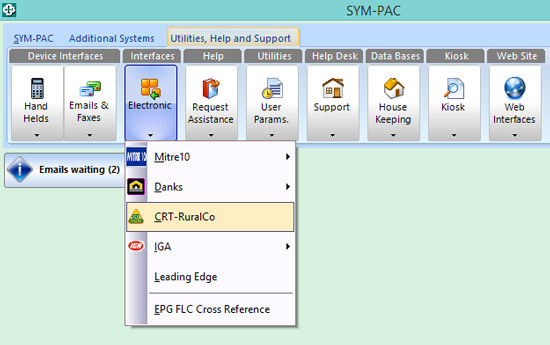 Insert a new product in SYM-PAC, setup the Product as a Non Stocked % of Sell (No OnHand). 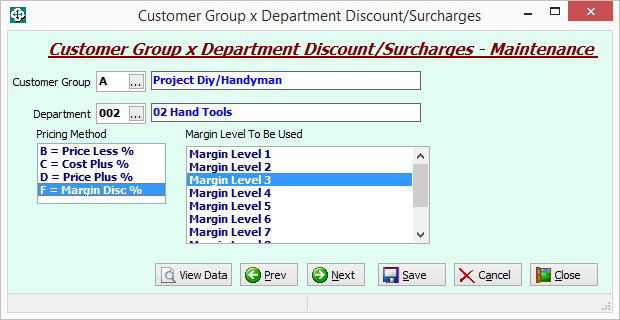 Set the Cost= % of Price at 100%. Set the Product GST Code to 0%. 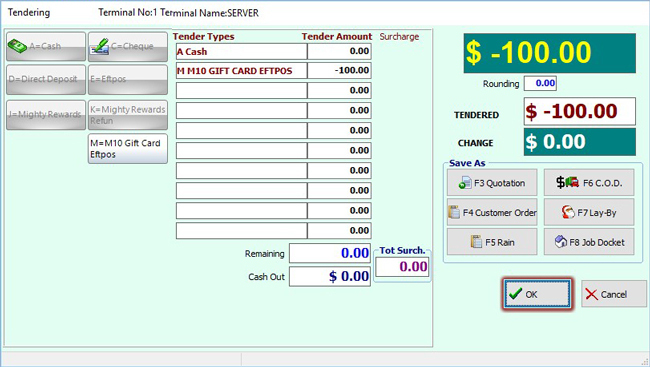 Set the Product Type as V for integrated EFTPOS gift card. 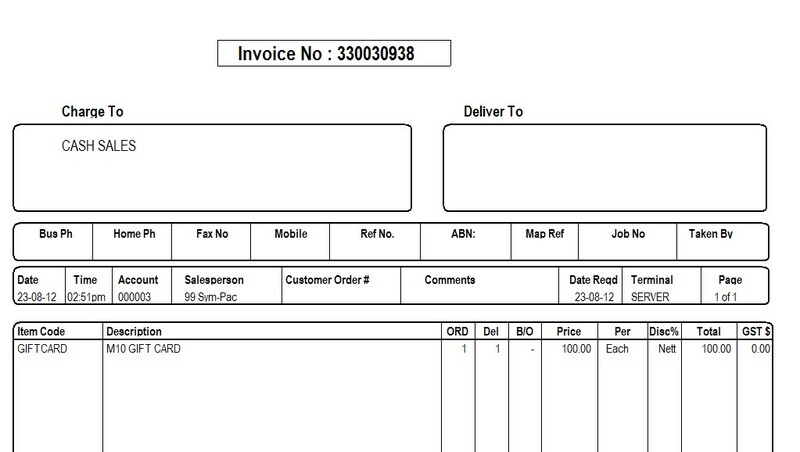 Note: Confirm the #GVACT is also set GST Free & Usage Type is Non Stocked % of Sell. 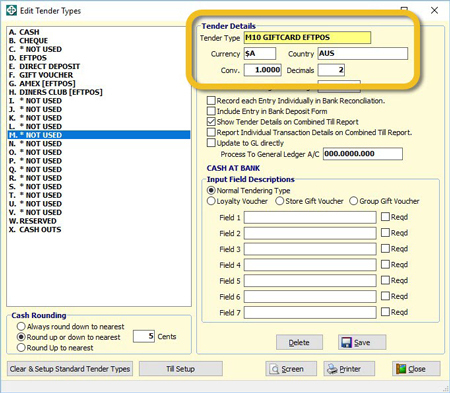 In order to redeem a gift card you will need to setup a Gift Card Tender Type. 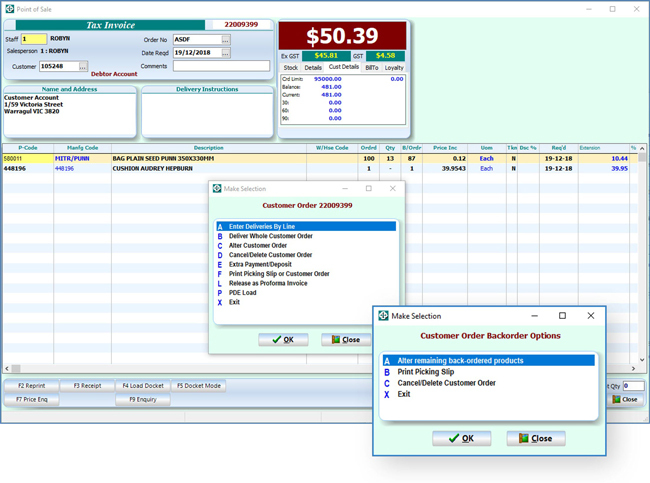 The General Ledger account entered should be the bank account that your EFTPOS is settled into. Enter then tender type the customer will be paying for the gift card with. 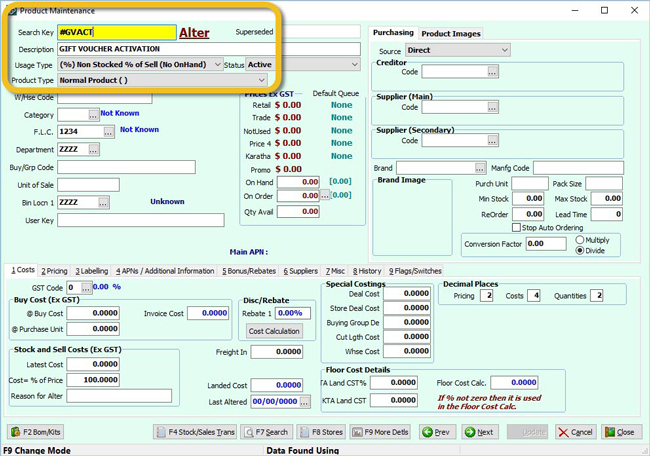 An Invoice will be generated. 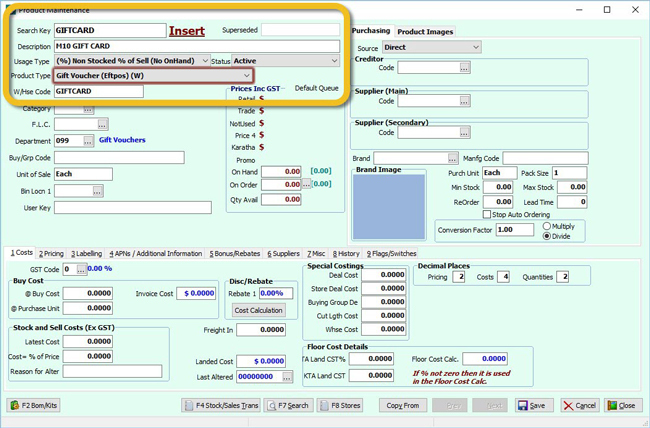 After the invoice is printed you will be returned to the tendering screen to process a refund to the gift card tender type. 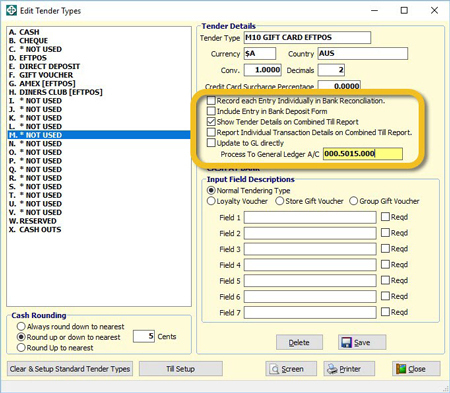 Select the gift card tender type. 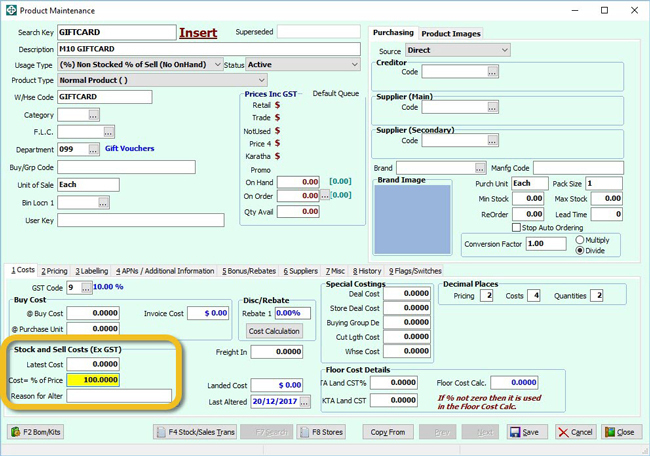 Then click OK.
Another invoice will print for the Gift Card Activation. 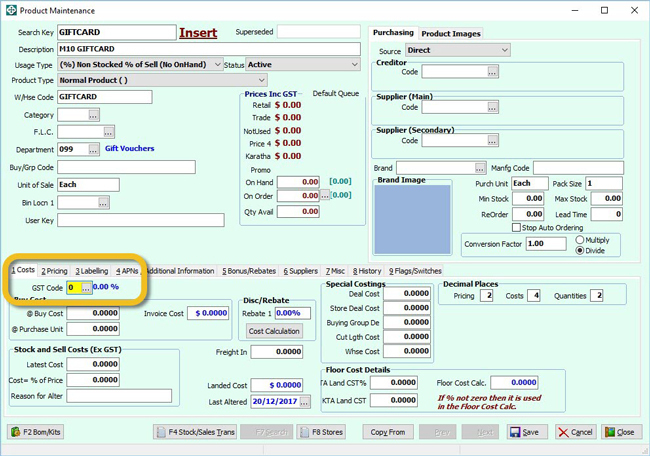 Enter the purchased amount & complete the sale. 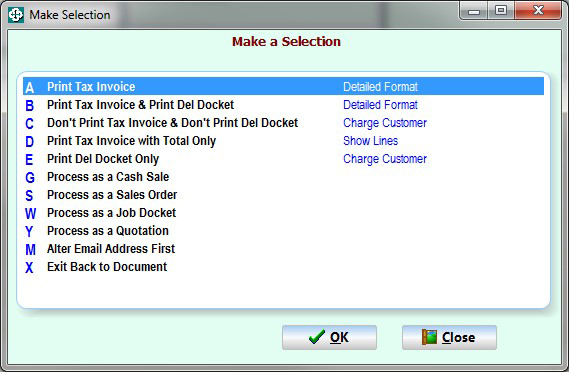 Select the option A – Print Tax invoice. When selling multiple Giftcards in the one sale enter each amount individually. 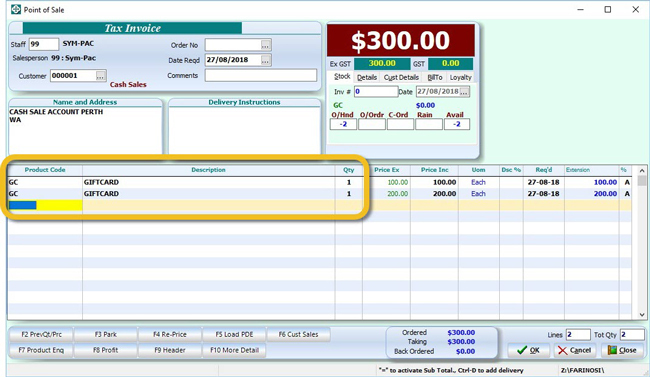 Tender how the customer is paying for the Gift Cards first. You will then be prompted for Gift Card Activation for each of the Gift Card amounts entered. 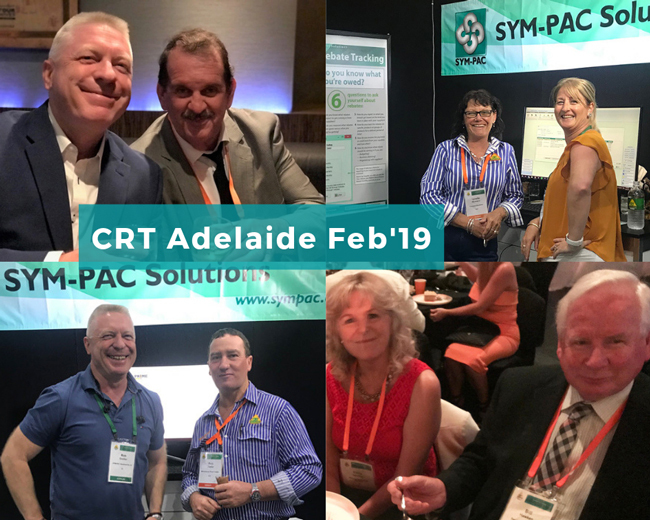 For more information on setting up the options for Integrated EFTPOS Gift Cards in your SYM-PAC system, contact Client Services on 1300 361 732.